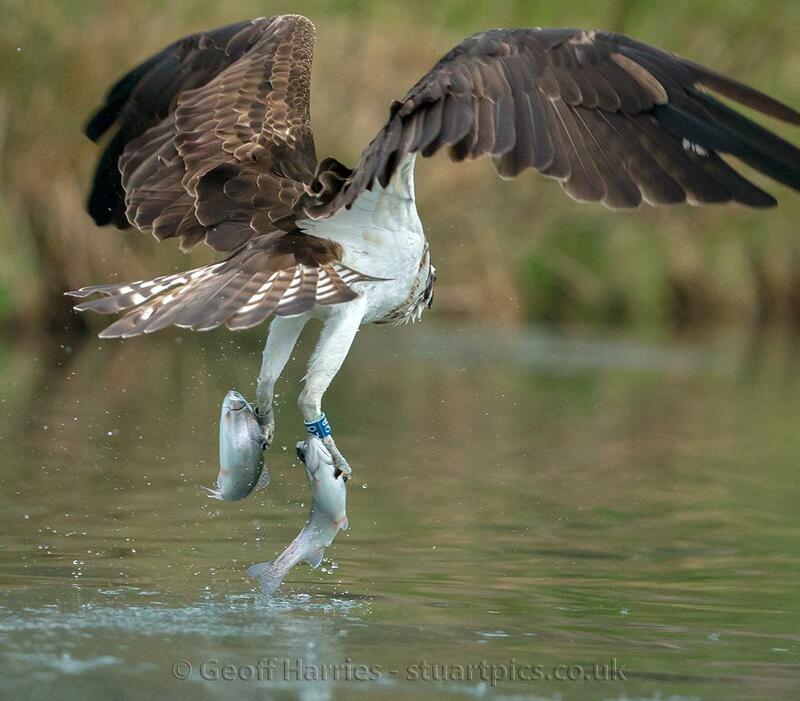 The first male osprey to return to Rutland Water was 28(10) who fished on 20th and 21st March 2019 at Horn Mill. 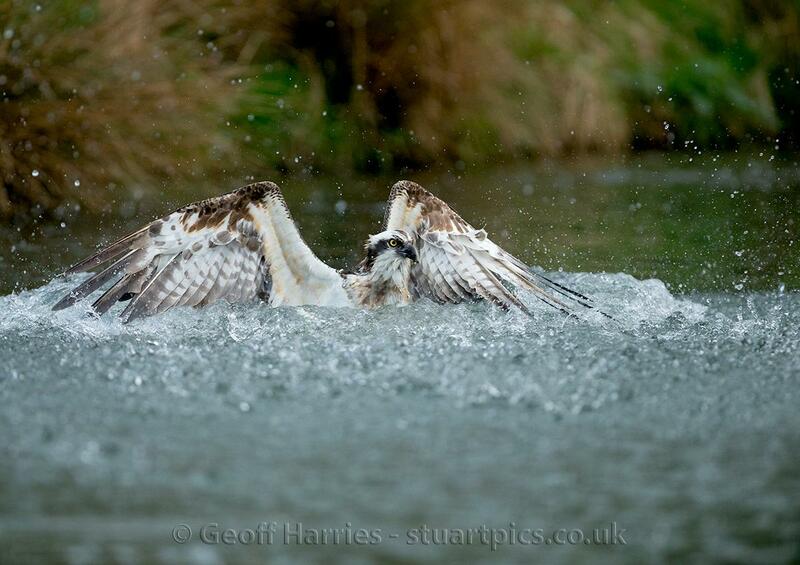 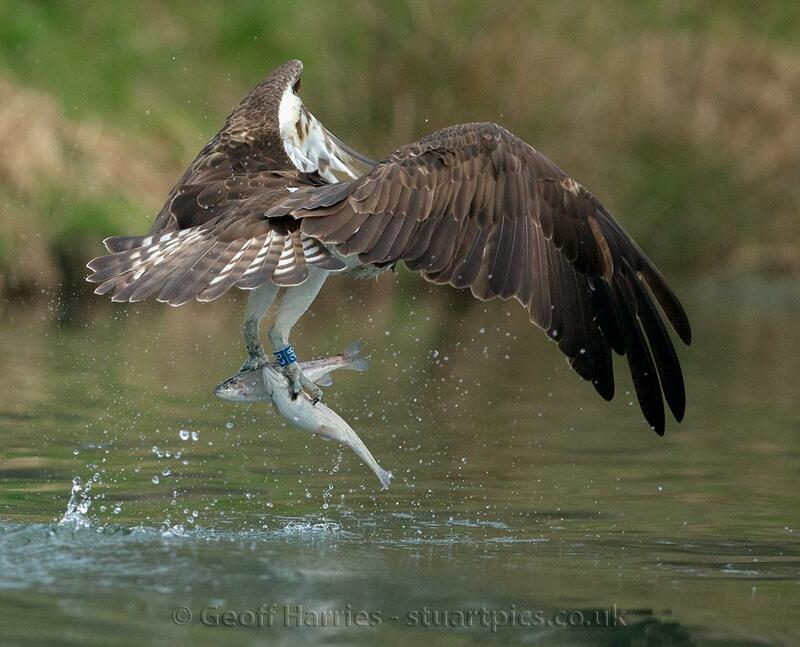 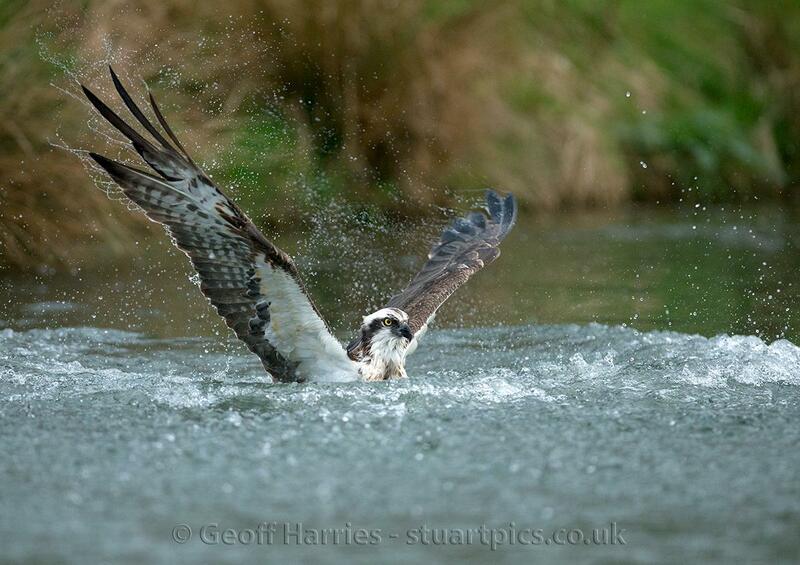 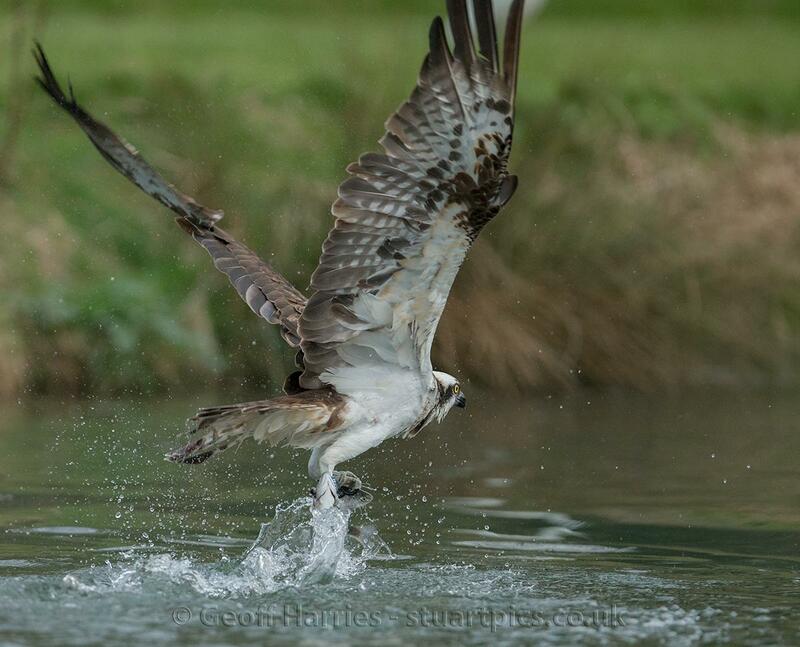 The big surprise came on the Friday 22nd March when osprey 28(10) came in for his last fish of the day. 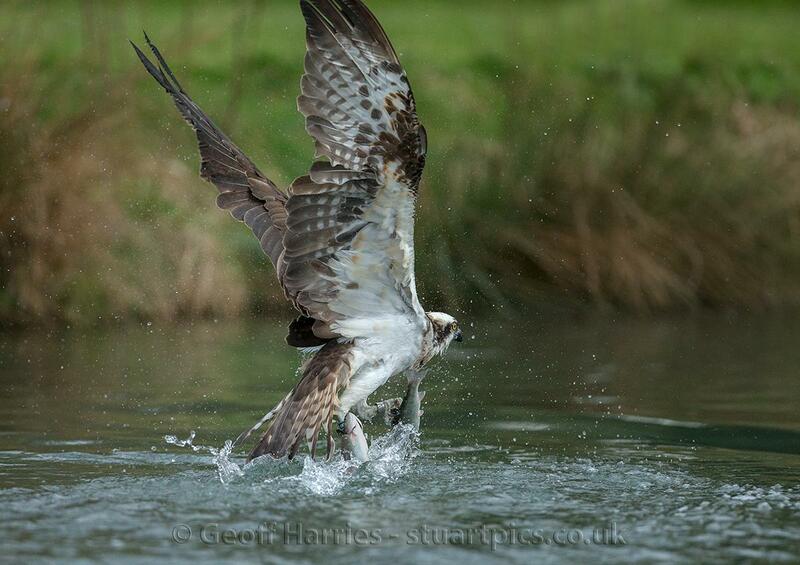 He dived into the water and struggled to come out, finally emerging having caught two fish, each securely held in each set of talons. 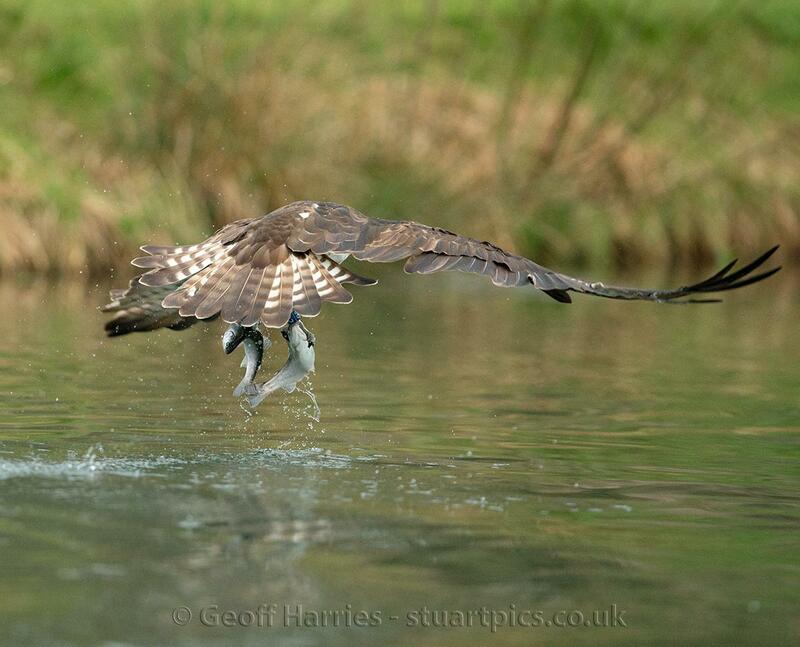 This was such a wonderful experience as I had waited four years to get this shot.